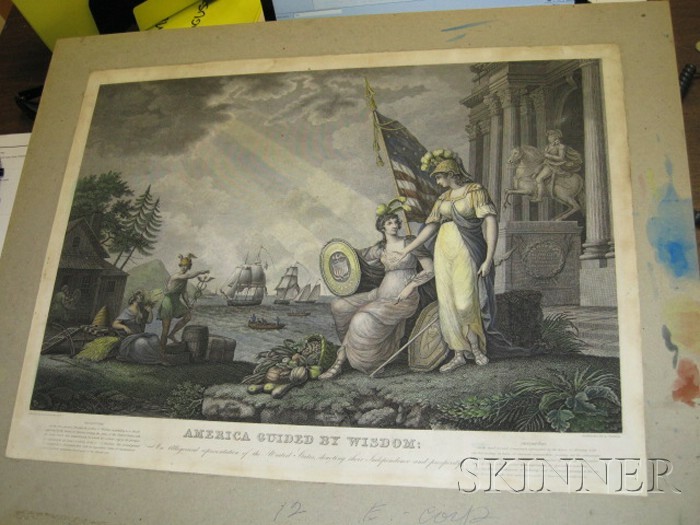 America Guided By Wisdom: An Allegorical representation of the United States, denoting their Independence and prosperity. 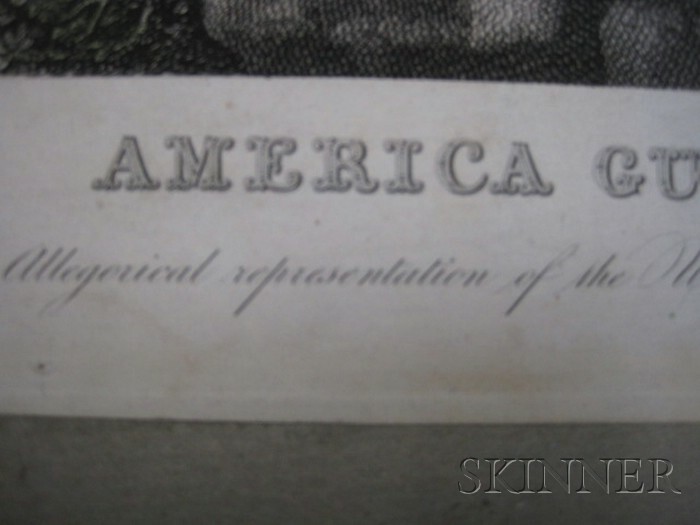 Identified in inscriptions, c. 1800. 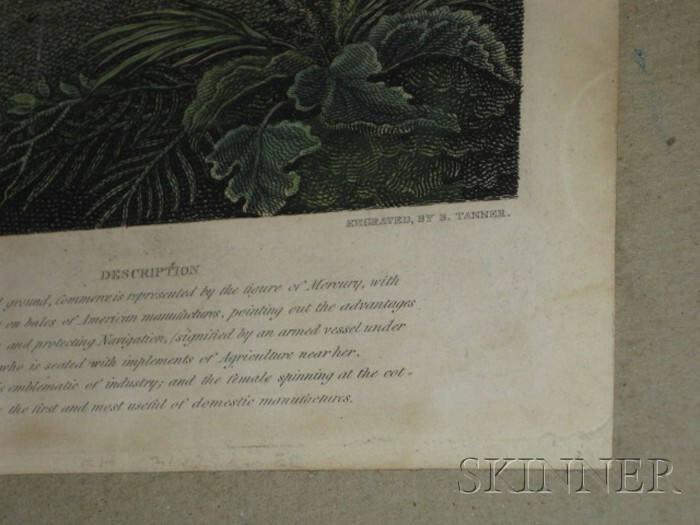 Engraving with hand-coloring, 18 x 23 7/8 in., in a later giltwood frame with eglomise mat. Condition: Laid down onto card, light stains around the edges.